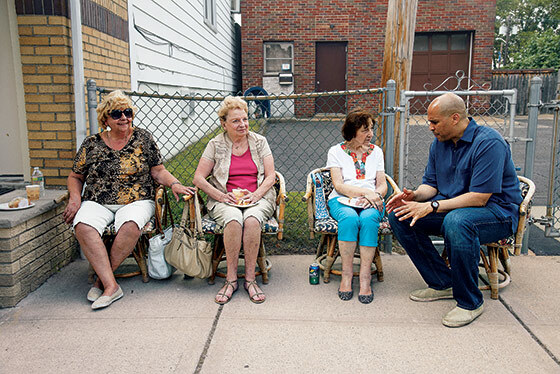 Former Mayor of Newark and US Senator Cory Booker has raised some hackles over at the NY Post for engaging in “animal-rights extremism,” after he had the audacity to announce he eats a vegan diet and the gall to support animal welfare legislation. Seriously, hide your children. Hey man, I’m extreme. You have no IDEA what I might do next. Tomorrow I may even avoid gluten! While he’s been vegetarian for 22-years, Booker announced on Twitter in November of 2014 that he was eating plant-based at least until the end of the year. In fact, he’s often taking to social media to share pro-animal quotes and thoughts, which is one of the things that just stuck right in the craw of the Post. Booker posted a video of two rescued turkeys around Thanksgiving time (Oh hey, we posted that too, check it! ), a move the article called, “animal-rights propaganda.” Seriously? That cad! How dare he attempt to limit the amount of unnecessary antibiotics fed to live stock? Doesn’t he understand that some of us would prefer antibiotic resistant super bacteria down the road?! 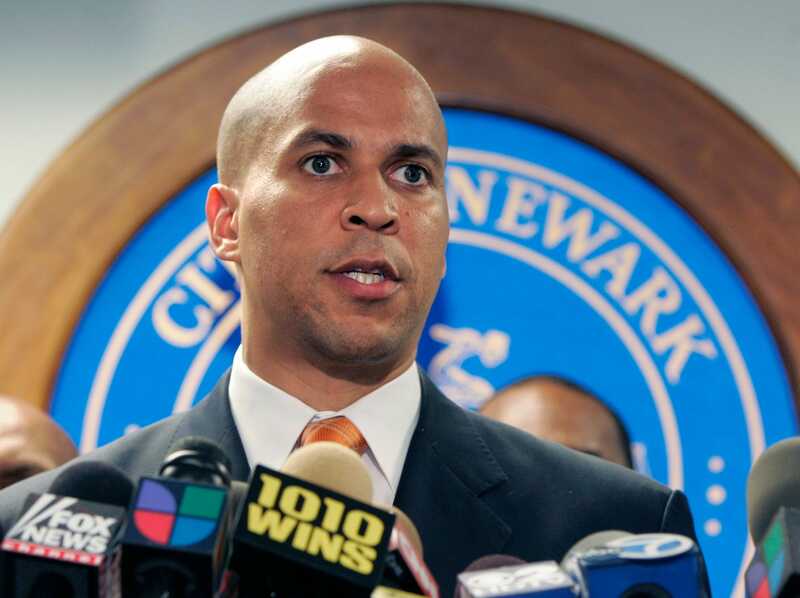 As for the gestation crate bill that Booker was slammed for supporting, it was far from “irrelevant.” In fact, it passed easily in the New Jersey state senate and was supported by 93 percent of voters polled in the state. I vote on things my constituents want! I’m a man on the edge! Funny, the Post referenced four instances in which animal welfare was the point of order and suddenly Cory Booker is an extremist who only cares about his constituents if they have four legs and are covered in fur? According to his voting record, he’s co-sponsored and voted on bills that will also end employment discrimination, limit elections spending, extend emergency unemployment compensation, create minimum wage fairness, protect women’s health from corporate unfairness and allow qualified people to refinance their student loans. Seems like he cares about equality for a variety of living creatures. Cory, didn’t you get the memo? If you care about animals, clearly you can’t care about humans too. Oh, and did we mention that he wasn’t even involved with the gestation crate bill that got the Post into such a lather? Their ire stemmed from the fact that Booker tweeted support for it. They’re literally angry about his Twitter habits. Are they gonna be mad that he didn’t @ tweet them to go to the dance next week instead of that priss Susie Newman from his bio class too? It’s very clear that the Post is using Cory Booker as a thinly veiled scapegoat to voice opposition for animal welfare concerns, but why? It escapes logic that choosing to value animals, along with clearly valuing the rights of his human constituents, should suddenly make him an irrelevant extremist on a mission to force compassion down everyone’s throats. In fact, Booker is actually right in line with the feelings of a majority of people. Polls show that 96 percent of Americans feel that farm animals should have at least some protection against harm and exploitation while 62 percent feel that strict laws are needed to achieve that end. Of course, this is the same publication that ran articles calling outrage over trophy hunter Kendall Jones posing with felled lions “silly, ignorant and sexist” and slammed Pamela Anderson for finding fault with animal testing during the ALS ice bucket challenge craze. Way to promote a kinder, gentler world NY Post. Seems to us the one around here who doesn’t care about the relevant concerns of people is you. The NYP article is so biased. They also don\’t understand what "extremist" means. ALF (Animal Liberation Front) engaged in extremist acts like firebombing animal testing labs. They can be considered animal rights extremists. Cory Booker, who happens to be vegan, supports animal welfare bills, and highly encourages being compassionate to animals, is NOT an extremist. Unless he starts engaging in activities that threaten people\’s safety or destroys property in the name of his "agenda", he is not an extremist. The fact that he is criticized as an extremist for making a stand for A LITTLE LESS cruelty and biotics… I can\’t even find words for this stupidity. We are going to extinguish ourselves soon, as a species. Most people are simply too stupid, selfish, arrogant and short-sighted…. And irrelevant. Too bad that so many other species and the planet have to suffer, too. SAD. SAD. SAD.